The Angel gang are the meanest, most deranged villains ever to come out of the Cursed Earth. An all-male family of psychopathic cannibal hillbillies, the gang comprised of Pa, the patriarchal leader, and his sons Link, Junior and Mean. Mega-City One's greatest lawman Judge Dredd thought that he had seen the last of the Angels after his epic quest to find the Judge Child. And then he encountered the Fink - eldest sibling of the clan, whose speciality and passion in life involved him creating deadly concoctions to use on his poor victims. 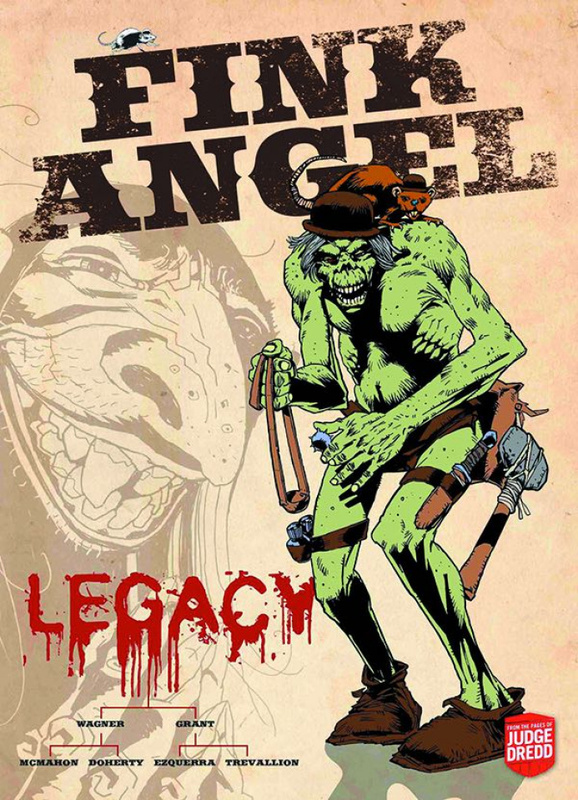 The latest member of the Angel gang is Ratfink, a Cursed Earth-dwelling fiend who preys on passing helltrekkers. Just like his father Fink Angel, Ratfink has a love of poisons, rodents and mayhem.